A new user report on twitter suggests that Facebook may soon implement a new type of "captcha" to verify your identity which might have to do with a form of face ID. At the moment, we still don't know for sure when and where this will be required but according to Facebook, the purpose of this new captha is currently to protect user data from third parties. According to some recent tweet on twitter, many reported that they received a Facebook prompt asking for a "photo of yourself that clearly shows your face,” followed by a promise that Facebook will delete the photo from its servers after your identity has been determined. 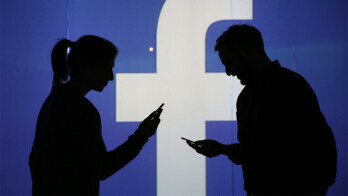 Although the user face identify confirmation method is a fully automated process, the process of using it to detect suspicious activities can either be manual or automatic and at the moment we still don't know for sure if Facebook intends on using it as an alternative login method or just for verification as they claim.